Angkor Wat is arguably one of the top man-made architectural destinations in the world. Over 100 temples form the entire complex. The main temples are surrounded by an imposing square moat which completely encircles the complex. The primary entrance is raised above the moat – pictures from this entrance are of the classic Angkor Wat pagodas that you may have seen in guide books. The main temples are well worth a visit…or two…or three visits – as the lighting differs dramatically depending on time and day. 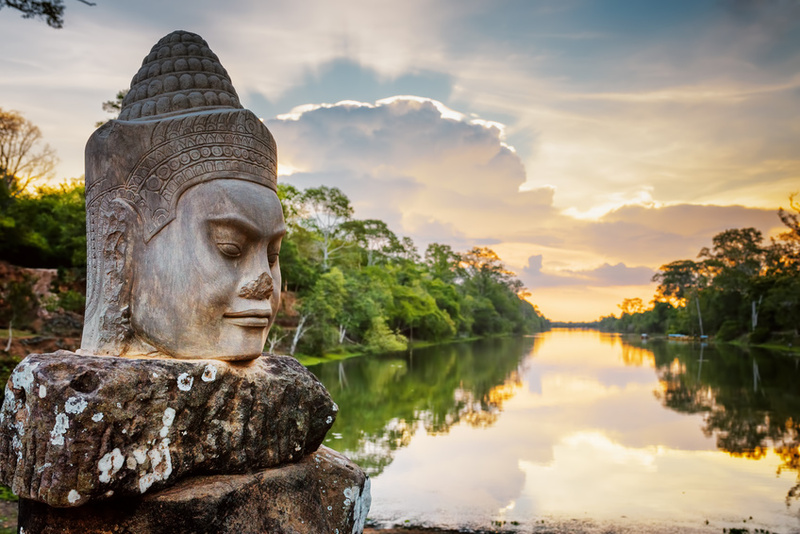 There is so much Khmer history here and unlike some ruins you are able to walk in and among the buildings and come face to face with incredible hand carvings and sculpture work especially of the large faces and heads. 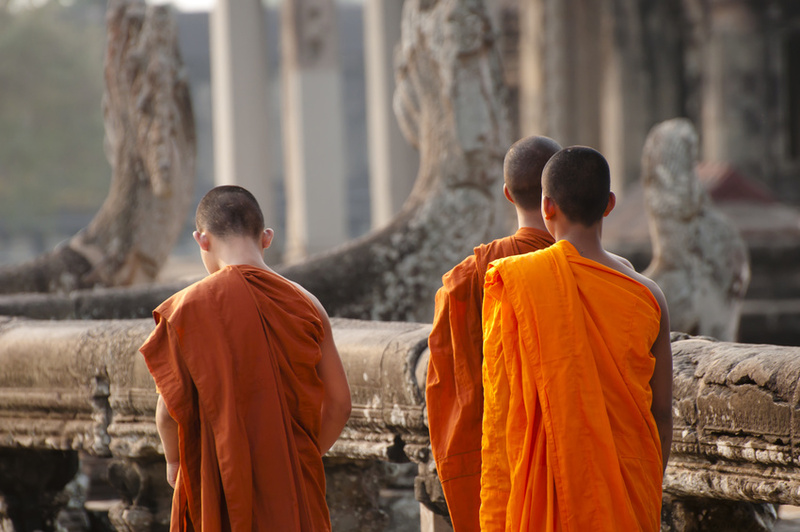 Siem Reap is the fast growing tourist town that services Angkor Wat. It is full of international tourists and guest homes – but most of all it is a hub for those who want to see these world famous ruins. This is a safe and inexpensive town – it is not your typical Cambodian experience – as it has been built for tourists – a refuge so to speak from the rest of Cambodia. Siem Reap is currently undergoing a huge boom in tourism and it shows with the large number of guesthouses, the new construction and the large number of tourists in town at any given time.